Dell’s UltraSharp 4K UP3216Q forever changed my outlook on monitors. Once a proponent of multiple standard-size monitors to boost productivity, the time I spent with Dell’s fantastic display convinced me that a single, large-screen 4K monitor was the only way to go. One of the few reservations I had with the UltraSharp was its size. While 32 inches may sound massive if you’re coming from a more conservative monitor, it is borderline too small to run 4K natively. For that reason (and a few others, like cost), I ended up going with a 40-inch 4K TV to use as a monitor. Had AOC’s new monitor been available just a few months ago, my purchasing decision would have been a lot tougher. 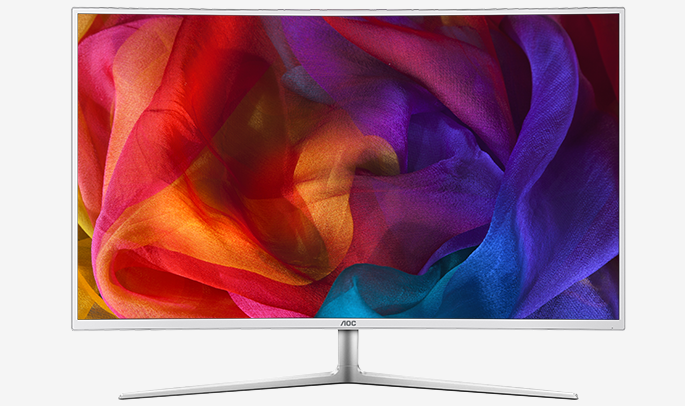 The AOC C4008VU8 features a 40-inch curved 4K (3,840 x 2,160 resolution @ 60Hz) panel sporting 1.07 billion colors, a wide color gamut (85 percent NTSC), 20,000,000:1 contrast ratio and a brightness rating of 300 cd/m² with a 5ms response time. The screen also includes flicker-free technology to help reduce eye fatigue and dual integrated 5W speakers. Connectivity options include a VGA port, multiple HDMI ports, four USB 3.0 ports and two DisplayPort 1.2 ports as well as line-in and line-out jacks. The AOC C4008VU8 is available as of writing for just north of $800 at a variety of retailers including Amazon, Best Buy and Newegg, just to name a few.